In November of 2013, I was pretty excited to hear about a digital credit card that could replace all of my physical cards for fifty bucks. It was an early backer price and seemed a bit high for taking a chance on something new, but my mind couldn’t let go of the idea of it. Sometimes I see an innovative new gadget and I just have to have it. As Kickstarter was gaining momentum, I felt comfortable giving it a shot and handed over my money. Even though I knew I’d have a wait ahead of me, I often wondered over the next nine months when it would come. In August of 2014, my Coin 1.0 arrived. More than a year later, Coin 2.0 was released and I was upgraded for free. What is a Coin digital credit card? Before I get too far into my personal observations, I should take a moment to talk about what Coin is. Coin is a smart device, the size of a single credit card, that can store the information of up to eight credit cards and work as any of them when swiped. It has an e-ink display to show which card is selected and the last four digits and expiration and a button to switch between cards. 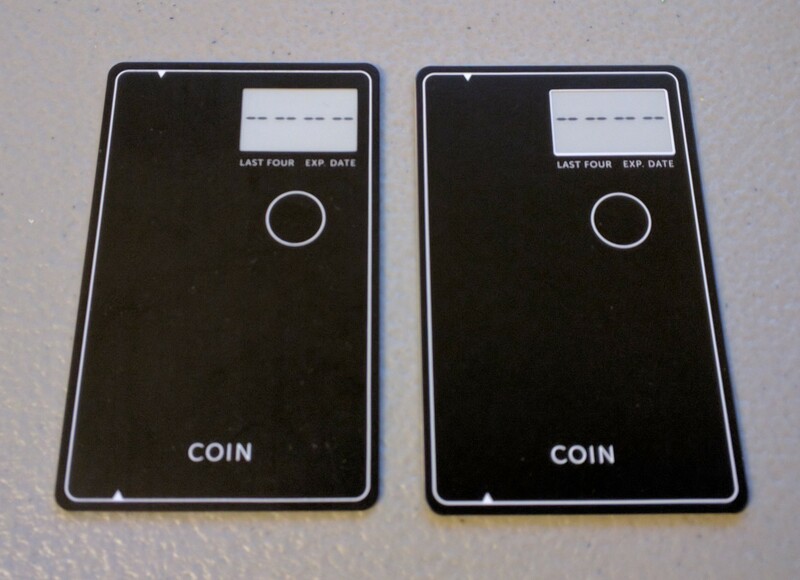 Coin also has the ability to set up a Morse code style password so you can unlock your Coin with a few short and long button presses when your phone is not nearby. While I’ve had Coin for a year, I’ve honestly only used it for a few months total. For starters, it didn’t always work when I would swipe it. Almost half the time, I had to try again and too often, I wound up pulling out the actual bank-issued card to complete the transaction. 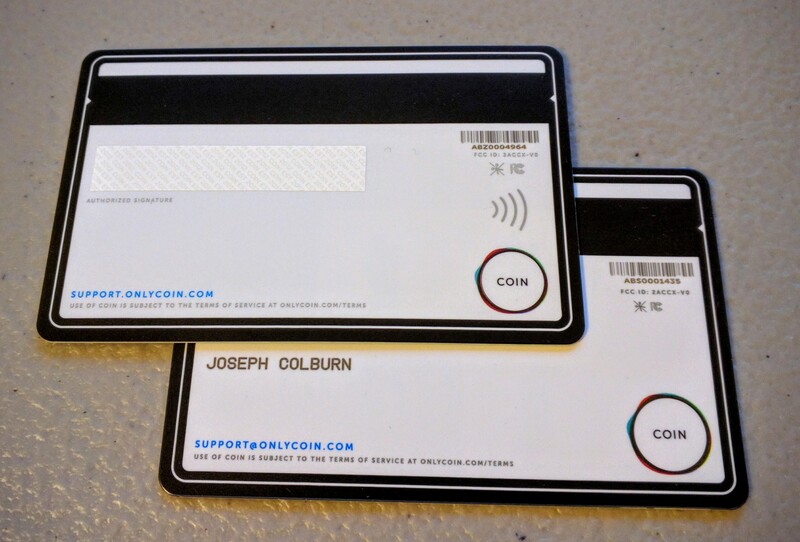 Coin’s two big selling points for me were convenience and security. Having to try multiple times and eventually use my other cards sometimes eliminates the convenience I would otherwise gain with a single card to carry around. That said, I now only carry my Coin and one major credit card. As for security, the thought is that I no longer hand over a card to someone who can simply copy the numbers and make purchases online. Additionally, my Coin (and by extension, all my credit cards) become unusable when away from me for more than 7 minutes. I always worry that my server at a restaurant won’t get it swiped in time, but it hasn’t been a problem yet. Of course, the other side of the security argument is that I now have all my credit card information in a device that uses Bluetooth. What if it gets hacked? I use an RFID shielded wallet, so I’m more concerned about someone obtaining access to my phone than I am my Coin. The several months in between usage can be explained by the fact that I’d get a new phone and have to enter all my cards again. For the sporadic level of swipe success, it sometimes felt like something I didn’t even want to bother with and my Coin would sit in a box on my shelf for a couple months. Using a coin is pretty simple and basically the same with both versions. When I’m getting ready to pay, I just pull it out and choose the card I want to pay with and hand it off to the cashier or swipe it at a terminal. With both versions, most cashiers are awestruck having never seen something like this before and usually tell me that they think it’s pretty cool. It can be nice, but it also means I usually have to tell them what it is and how it works when they ask. The first incarnation of Coin – despite a long wait that included being envious of west coast beta testers – did not always work. Above all, that has been my biggest complaint. As mentioned above, just under half the time, it would not work on the first attempt. Thankfully, improvements have been made to really cut down on this. While I’ve only had Coin 2.0 a week or so, everywhere I’ve tried it was a success. There was one place it failed on the first try and I immediately reverted to my bank-issued card because there was a long line behind me. The Morse code security feature hasn’t proven useful for me yet. The one time I left my phone in the car, I completely forgot that I could unlock the Coin without it and just grabbed my phone. Had I remembered the feature, I don’t think I would have remembered the code. For others, this may be an indispensable feature, but to me, it’s just a possible security hole if I lose my card. Luckily, the Coin app will tell me if it can’t see my Coin when the Bluetooth connection drops. This is another great feature for other people, but not as much for me. Having a shielded wallet means that every time I put my Coin back in my wallet, the app thinks I’ve left it behind. This is an acceptable trade-off, I suppose. Coin comes with an internal battery that will last about two years with “normal” use. Normal use is defined as using your Coin about 5-6 times a day. I’m assuming I’ll get up to 3 years out of mine since I don’t use it nearly that much. EVT and NFC are concepts new to Coin 2.0. While the new Coin doesn’t have an actual EVT chip, NFC provides a contactless form of EMV payments. It seems that this will only be useful for cards that support EVT. While shopping earlier this week, I attempted to tap to pay with both of my cards and it simply would not work. This was at a single merchant and I have yet to try again. This was one of the key upgrades with Coin 2.0, so I’m hoping it will prove to be a usable feature for me. Coin is a great little device, but it has found its struggles as the pioneer in an odd little niche product market that seems to have caught on in the last year or so with a few competitors. Despite the challenges, Coin has done well to support those who believed in it by giving free Coin 2.0 upgrades to early adopters, but it will need to work hard to keep up as competitors innovate with new features. Coin 2.0 offers much needed improvements, but unless there’s a feature-rich Coin 3.0, it will probably be the last of its line. At $99 with a two year battery life, you’ll be in for about $50 per year, which is still not bad if you’re able to make the most use of it.